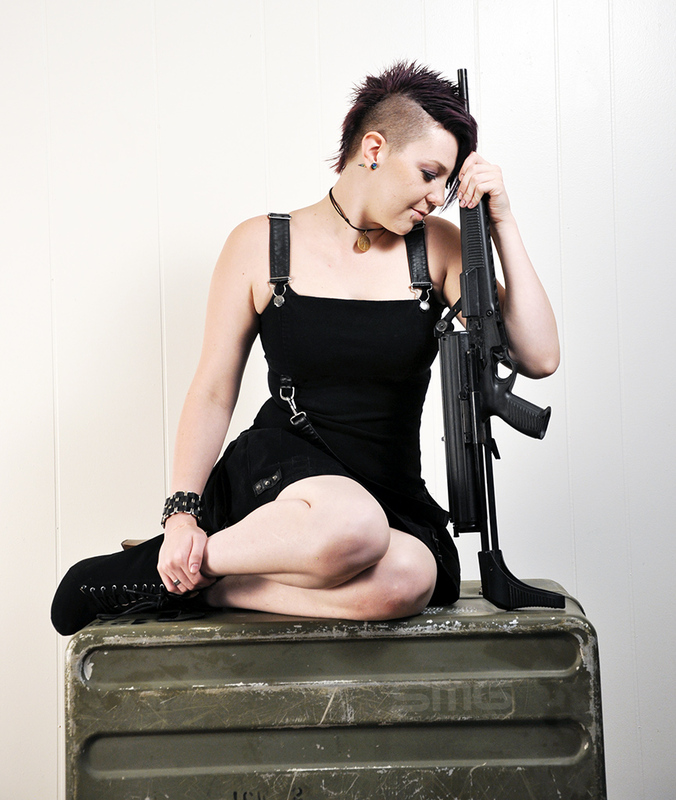 Millie With Special Weapons SP10 9mm carbine. 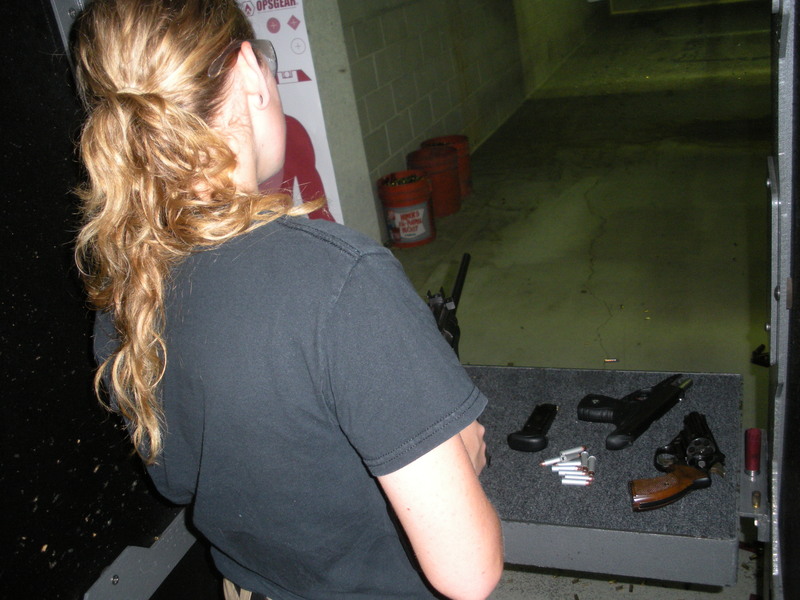 The Special Weapons MK760 didn’t live up to the name of the S&W M76 kit used to build it. 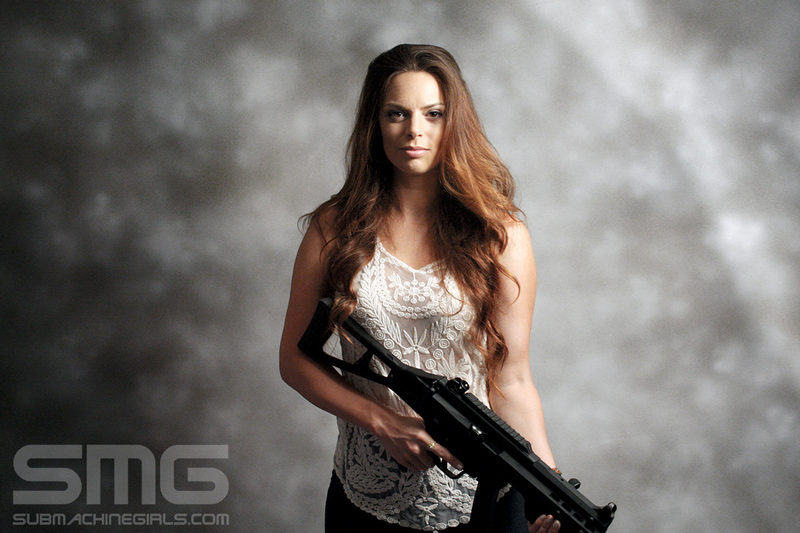 Quartnee Reese with Calico Liberty 9mm. 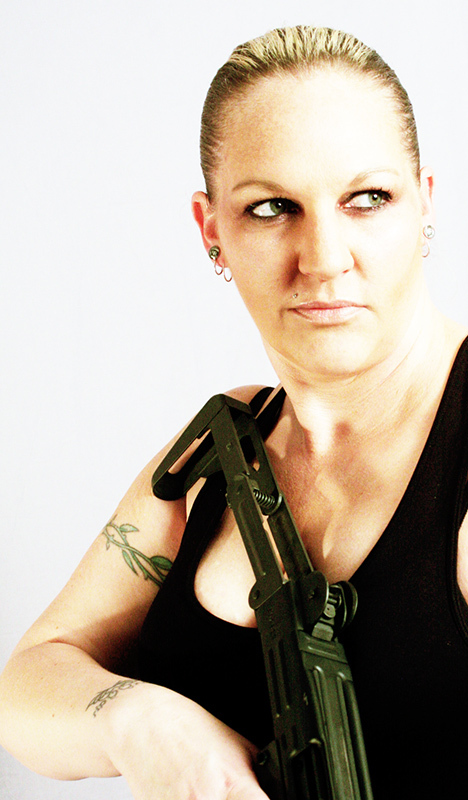 Miss Tracy with a semi-auto Vector Arms Uzi. This is a semi-auto Uzi from Vector Arms, the barrel was shortened in image editing. Image quality dropped when saving files but will have to fix it later. The SP-10 uses H&K MP5 internal parts with a USA made UMP inspired polymer housing.